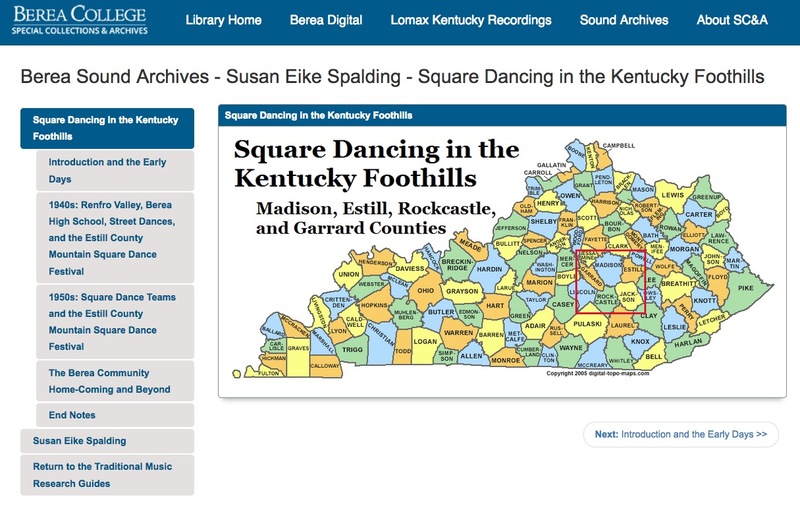 "In Berea and surrounding counties, square dancing, the type done in a big circle that divides into smaller “squares” of two couples, seems to have been popular from the beginning of the twentieth century. In the early years of the century, it took place predominantly in homes, moving to lodges, schools, and other larger places by the 1930s and 40s. By mid-century the venues and occasions began to shift toward competitions and festivals, but people danced in local establishments until the 1970s. Social square dancing seems not to exist in this area as a regular recreation any more, but clogging teams still perform and compete, some using square dance figures and others dancing in lines and other formations." 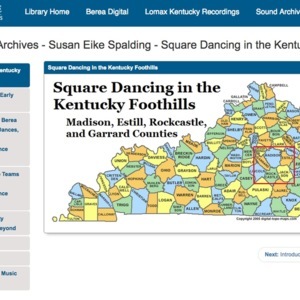 Susan Elke Spalding, “Square Dancing in the Kentucky Foothills,” Square Dance History Project, accessed April 26, 2019, http://squaredancehistory.org/items/show/1587.